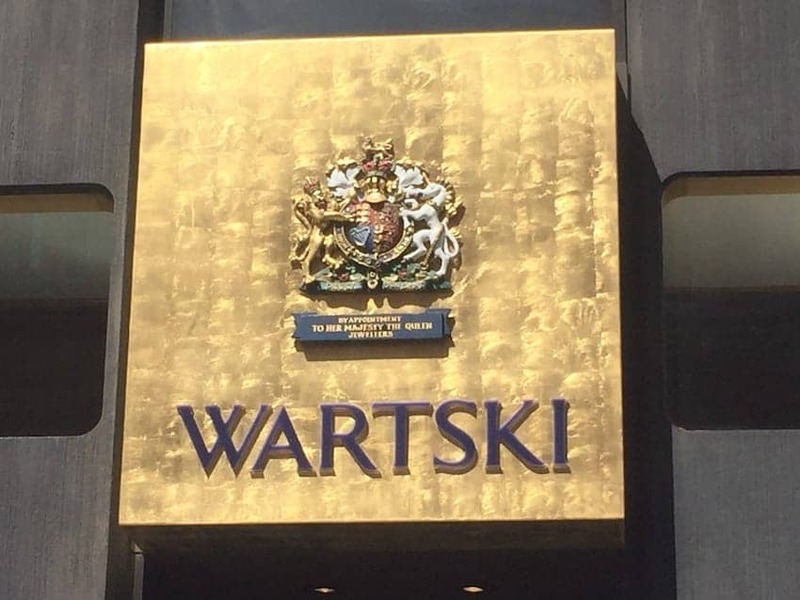 Founded in Llandudno, North Wales in 1865, Wartski is a family firm of art and antique dealers, now in its fourth generation, specializing in fine jewellery, gold boxes, silver and works of art by Carl Faberge said to be the greatest jeweller of the 20th century. In 1911 the firm set up in Mayfair and purchased a number of jeweled treasures for the shop from the Russian aristocracy who were fleeing the revolution at that time. It is still finding and exhibiting rare Imperial Fabergé eggs of which only 50 were made. Wartski created the ring for the wedding of the Duke and Duchess of Cambridge.